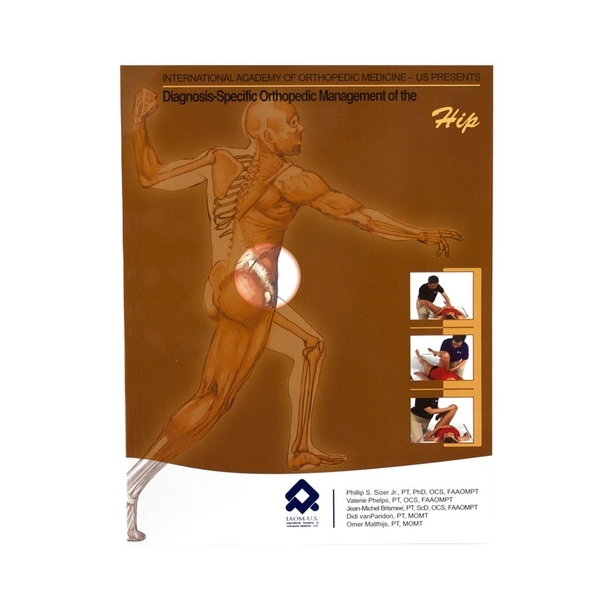 Detailed, evidence-based examination and diagnosis-specific management strategies for the hip. Simplify your approach to treating hip pathology with a systematic method to evaluate and diagnose the problem, presented by the International Academy of Orthopedic Medicine—US. Clinicians working with dancers, athletes, worker’s compensation injuries and general outpatient orthopedics will find all the information needed for successful patient outcomes. Content based on works by Cyriax, Kaltenborn and Kapandji. Illustrated. Softcover, 163 pages.